Your email address and the password you chose or you can reset. 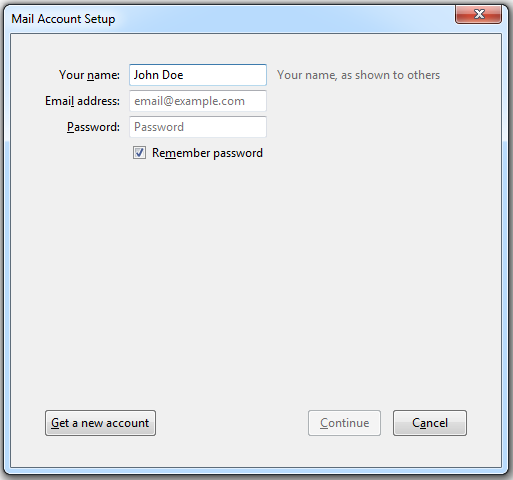 If you set up a mail account manually, please use the following typical combinations of connection security and authentication method settings. 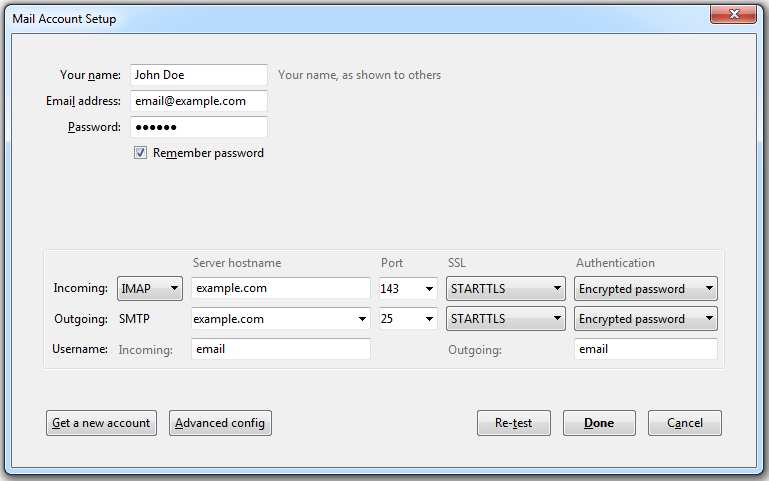 Incoming server address (POP3/IMAP). You're server name is in your welcome email or lookup here. Outgoing server address. You're server name is in your welcome email or lookup here. We recommend using SSL/TLS since it encrypts the communication but if you receive errors you can try setting encryption to none and make sure to use the correct corresponding ports.